The draft, the offseason program, training camp and a four-game exhibition schedule are all geared toward getting the 49ers prepared for Week 1 at the Tampa Bay Buccaneers. In the meantime, the 49ers will have the ability to add a starter, or two or three, in next week&apos;s NFL draft. Will the 49ers again face quarterback Josh Rosen, who twice beat them last season, or will the Cardinals tab Kyler Murray to inject some excitement and intrigue into their organization? NFL Draft: How Mel Kiper Jr. would use 49ers&apos; first three picks originally appeared on nbcsportsbayarea.com After months of rumors and speculation, the NFL draft finally is almost here. As Kyle Shanahan, John Lynch and Co. enter Year 3 at the 49ers&apos; helm, this will be a big three days for San Francisco starting on April 25. Every front office has their dream scenario going into the draft. NFL rumors: 49ers work out Wagner QB T.J. Linta before 2019 NFL draft originally appeared on nbcsportsbayarea.com The 49ers&apos; quarterback room could have a new face after this month&apos;s NFL draft. San Francisco QB coach Shane Day reportedly conducted a workout with former Wagner signal-caller T.J. Linta on Wednesday, according to Tony Pauline of draftanalyst.com. In 13 games as a graduate transfer for the FCS school last season, Linta completed 51.2 percent of his passes for 1,481 yards and 13 touchdowns. 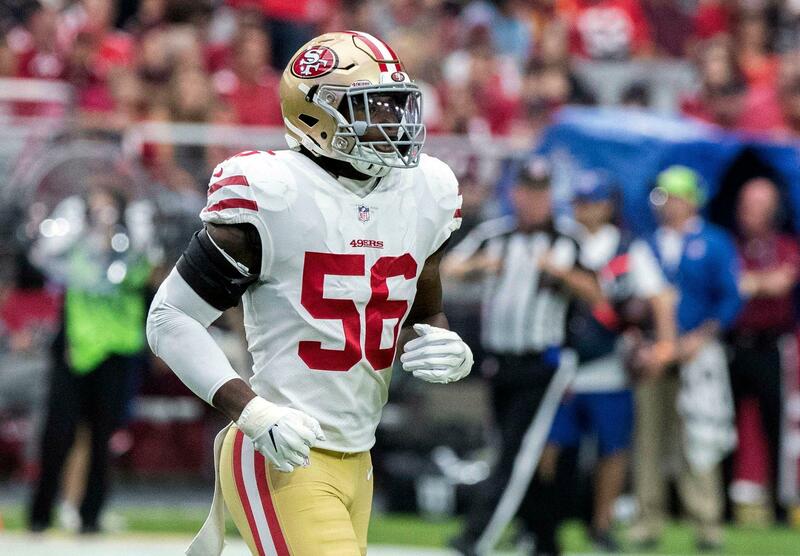 Reuben Foster was cut by the San Francisco 49ers for an incident in Tampa last season, but the NFL found there was no reason to suspend him for it. However, strangely, it did find that Foster was guilty enough of something to fine him two game checks. The NFL announced the fine just before the end of the business day on Friday. 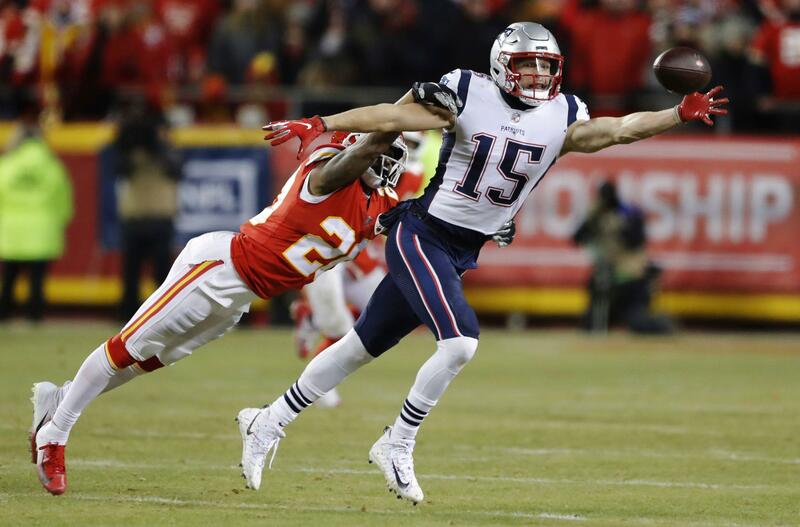 The Carolina Panthers added some depth to their wide receiver corps on Friday, as the team signed veteran Chris Hogan. Hogan, undrafted in 2011, has spent nearly all of his playing career in the AFC East. Out of college he signed with the San Francisco 49ers, but was cut out of camp. ers scheduled to host Florida State edge rusher Brian Burns on visit originally appeared on nbcsportsbayarea.com Florida State edge rusher Brian Burns, a projected first-round draft pick, is scheduled to make a visit to meet with the 49ers in Santa Clara. The 49ers own the No. overall pick in the draft, but Burns could be an option for the club if they trade back to acquire more selections. It was a bit strange how long Stephen Gostkowski lasted on the free-agent market. 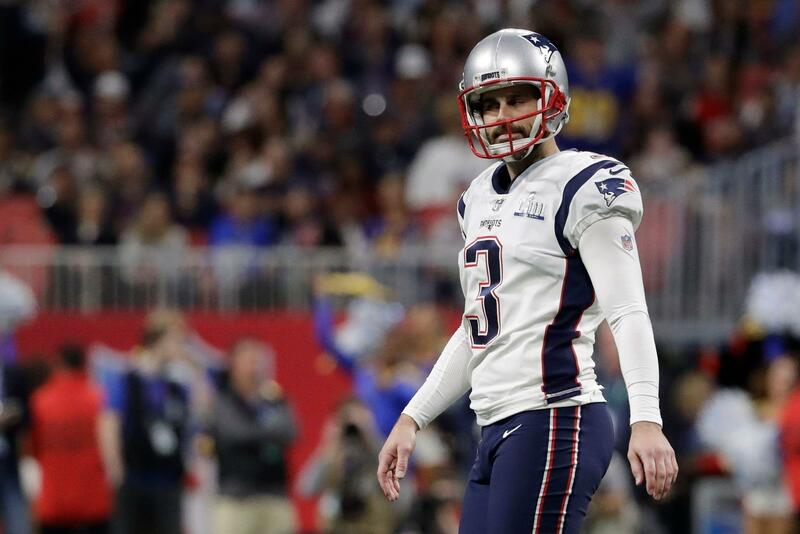 The longtime New England Patriots kicker was unsigned for almost a month, despite what he has meant to the Patriots and the fact that good kickers are hard to find in the NFL. Gostkowski has a two-year deal from the Patriots, according to ESPN&apos;s Adam Schefter. ers sign veteran defensive lineman Damontre Moore after AAF folds originally appeared on nbcsportsbayarea.com The 49ers on Friday signed veteran defensive lineman Damontre Moore to a one-year deal, the club announced. Moore, 26, has played for five teams in his six-year NFL career after entering the league as a third-round draft pick of the New York Giants in 2013 out of Texas A&M. He most recently played for the San Diego Fleet of the Alliance of American Football (AAF), where he recorded 22 tackles, seven sacks and a fumble recovery. The league abruptly ceased operations this week. George Kittle believes 49ers have answer for anything NFC West could bring originally appeared on nbcsportsbayarea.com George Kittle has just laid down the gauntlet for the 49ers&apos; NFC West opponents during Friday&apos;s edition of NFL Network&apos;s show "Good Morning Football." When he was asked about each team in the division, the star tight end responded with a weapon the 49ers possess to counter their opponents current and, in the Arizona Cardinals&apos; case, potential future strengths. Kittle&apos;s answer for Seahawks quarterback Russell Wilson was Richard Sherman.